Condition: Good (Contains gift inscription) Moderate yellowing of cover and page edges. All pages still clean and intact. Not since William C. Orchard's 1917 classic has a book of this importance to the art of porcupine quill decoration been made available. This book is destined to become the definitive source on this exciting, unique American art form. 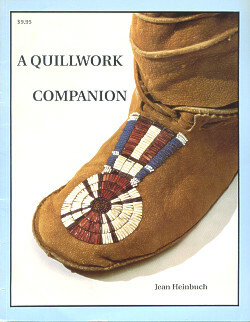 The author, and expert at her craft, describes and illustrates all of the basic and advanced designs used by the American Indian. The text is easy to understand and each step has been fully illustrated with diagrams, figures and photographs. Also included are many of the secrets of the art that allow the reader to create truly beautiful quillwork. With over 200 illustrations and photographs in color, and black and white, this is a fine addition to the field of arts and crafts and a must for the traditionally oriented craftsperson.